Royal Caribbean's newest and largest ship, Harmony of the Seas, has arrived at ​Ft. Lauderdale's Port Everglades in dramatic fashion. There to great her, along with the crowds, were her two Oasis-class sister ships, Oasis of the Seas and Allure of the Seas. The scene was captured in the video on the right. 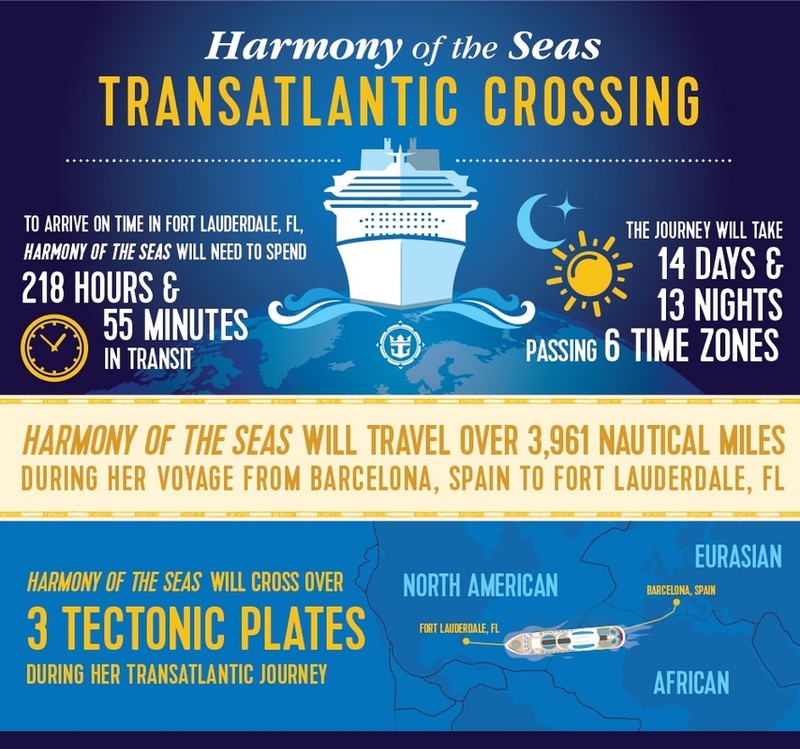 Harmony will begin eastern and western Caribbean cruises starting next month. Here are two new videos from the studio crew aboard Harmony that take us into "The Ultimate Abyss" -- a 10-story-high slide at sea. From the largest dedicated space at sea for kids at Adventure Ocean to onboard kid-friendly spaces at the Splashaway Bay water zone and the Boardwalk neighborhood's Luckey Climber, Harmony of the Seas is sure to keep kids busy day and night.